Written by Andrea Zoellner on November 22, 2018 Blog, Customer stories. “Coming from a business that was being beaten by technology and seeing as I couldn’t beat them I thought it would be a good idea to join them,” says Chris. This inspired him to harness technology to make something relatively routine, like buying pet food, even more simple. Now, Dogs Meow customers can choose their quantity and brand of pet food and sign up for a one-time delivery or a subscription, so their food is delivered to them without a second thought. 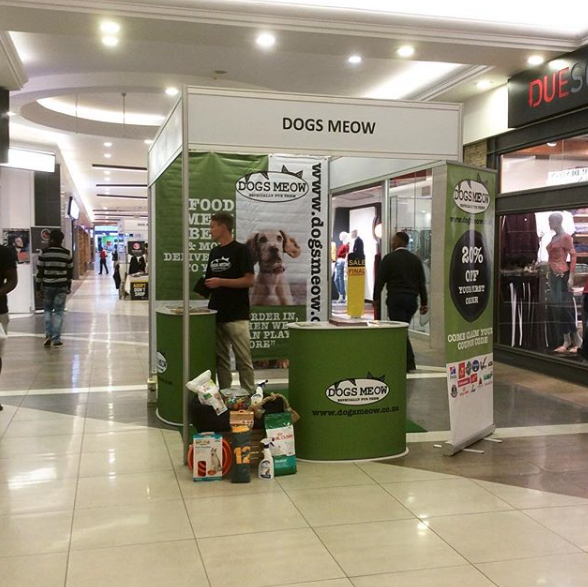 Dogs Meow focuses on serving the Gauteng region, a northern province of South Africa, where Pretoria and Johannesburg are located. Subscription models are a huge driver of recurring revenue, which can make all the difference in startup companies such as Dogs Meow. 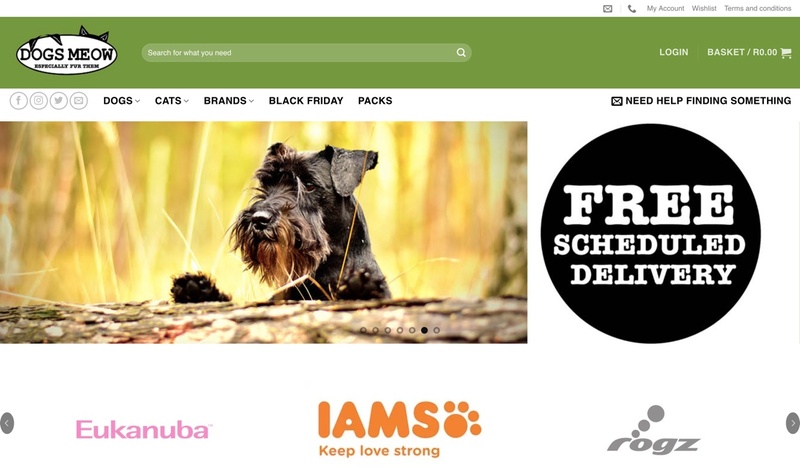 While the food subscription model is the crux of the enterprise, the online shop also sells almost everything you would need for the normal care of your pet: toys, medicine and treatments, and grooming accessories. It carries nearly 35 brands for cats and dogs, and kits for brand new pet parents. Chris was very passionate about beings hands-on while building the online shop, since the website itself was such a big part of the business. “I believe you should understand how it works before handing it over to someone else,” he says, while adding that his desire to challenge himself and learn new things was part of the fun. Now, Chris operates a successful store that is expanding beyond the digital footprint. Everything runs through his online shop — however he’s expanded into offline marketing as well, setting up booths at trade shows and in shopping centres to drum up business from passers-by and introduce them to the time and money-saving benefits of pet food subscriptions. Chris’ desire to be heavily involved in the development of his pet food subscription business has given him the flexibility to try different features and adapt his store to the needs of his clients. “One customization I made was a subscription extender to offer my customers more options for subscriptions,” he says. “It basically gives them the choice of once-off orders or to set the frequency from weekly to 12-week intervals. WooCommerce Subscriptions for the food orders. WooCommerce CSV Import Suite to quickly perform bulk imports, exports, and price changes on products. Follow Up Emails to help Chris stay in touch with his subscribers by informing them a week in advance and the day before a subscription is due. WooCommerce Product Bundles to bundle similar products together like puppy packs. Chris’ story is an example of a smart and resourceful entrepreneur embracing change and acting on a good idea. By starting his own online shop, he was able to meet the needs of pet owners who want to simplify routine tasks like buying dog food, while building a sustainable business and livelihood for his family. Have you successfully transitioned out of a business that became obsolete by launching your own business? Kudos! We’d love it hear your story in the comments. What a great story. Also looking to open my first online shop near future. This really do give me some hope that I can manage it. What a great story and I really like it and i am looking for opening my own online store. I love your pet case study and thanks for sharing with us. If it’s not too much trouble informed me regarding whether you’re searching for an article author for your blog. You have some extremely incredible posts and I believe I would be a decent resource. On the off chance that you ever need to take a portion of the heap off, I’d love to think of a few articles for your blog in return for a connection back to mine. If you don’t mind give me an email whenever intrigued. Respects! Ich liebe die Fallstudie von Woocommerce. Mit schönen tipps! Besonderes über Abo-Modell !!! Currently using it to make the process of buying black hair care easier online. My best friend is a vet. I love any business that provides for our furry friends.